Similar to the way a letter sent through the postal service, an email goes through several hubs, carriers, and routes on its way to your inbox. Unlike a letter, you have the ability to access information about the path an email took before reaching you. This information is contained in a block of data called the email’s headers. Headers are appended to the email by the various servers that route it to your email provider. Since headers don’t tell you much about the content of an email, your email software doesn’t display them. Header information can tell us about the origin of an email, and about some of the decisions, your email service made when it accepted it from the sender’s email service. As such, it’s important to include an email’s header information when reporting it as suspicious to your IT support staff. 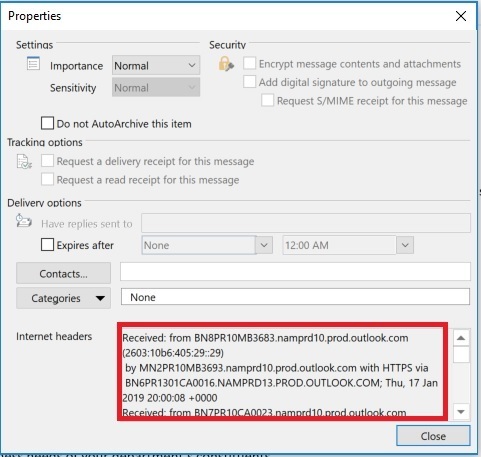 Header information makes it easier for the IT support staff to determine whether the message was genuine and help them block other malicious messages. 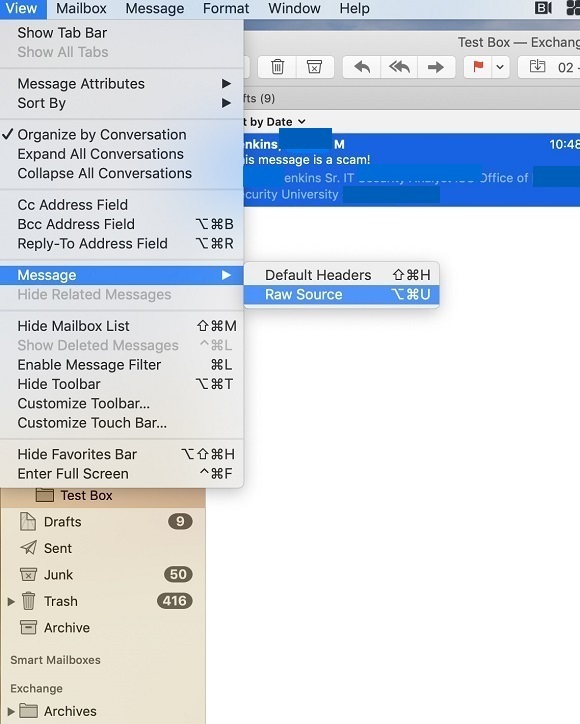 A plaintext version of the email will appear in a new window in Apple’s TextEdit program, complete with header information. 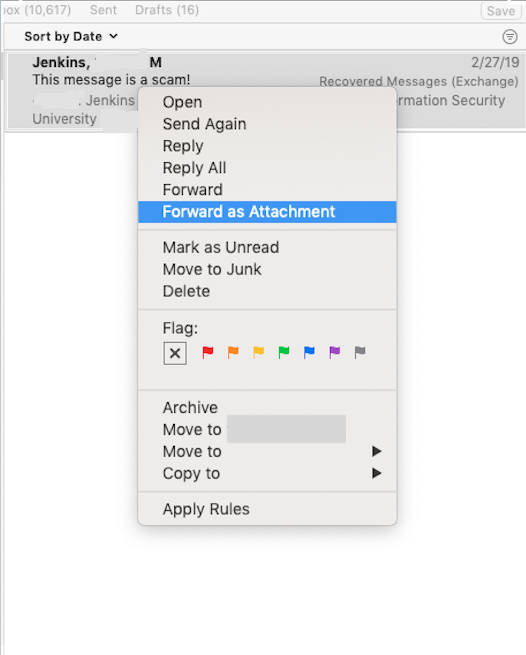 To report an email as a scam or phishing to your IT Staff, please forward the message as an attachment. 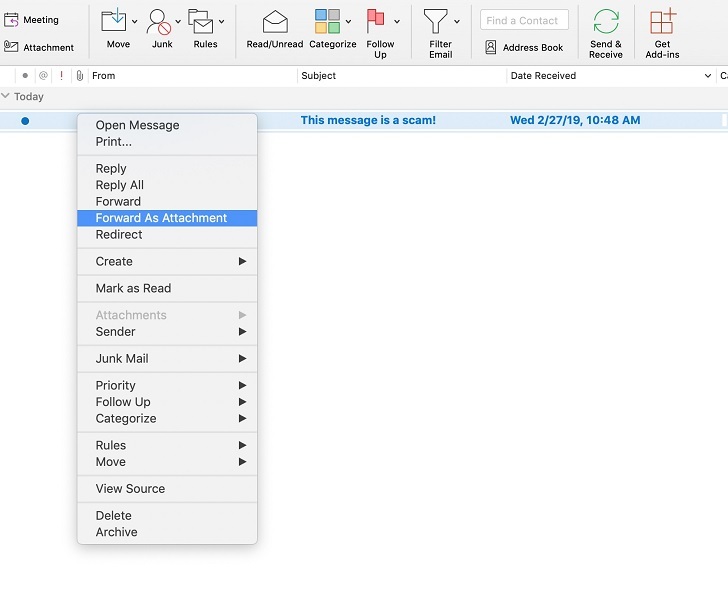 A new email composition window will appear, with an attachment listed. 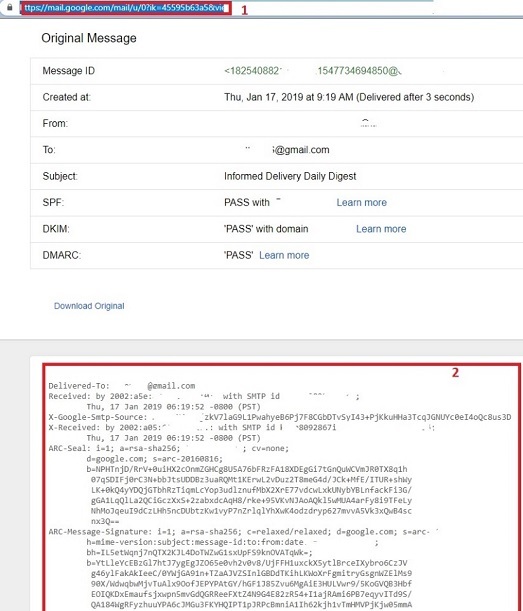 That attachment is a full copy of the message you’re reporting, including its headers. Send the new email to your IT staff. 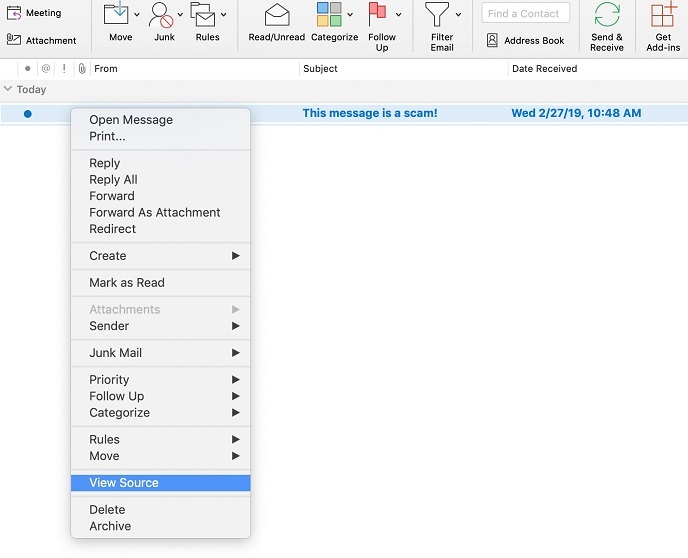 When reporting an email as phishing or a scam please forward the email as an attachment. 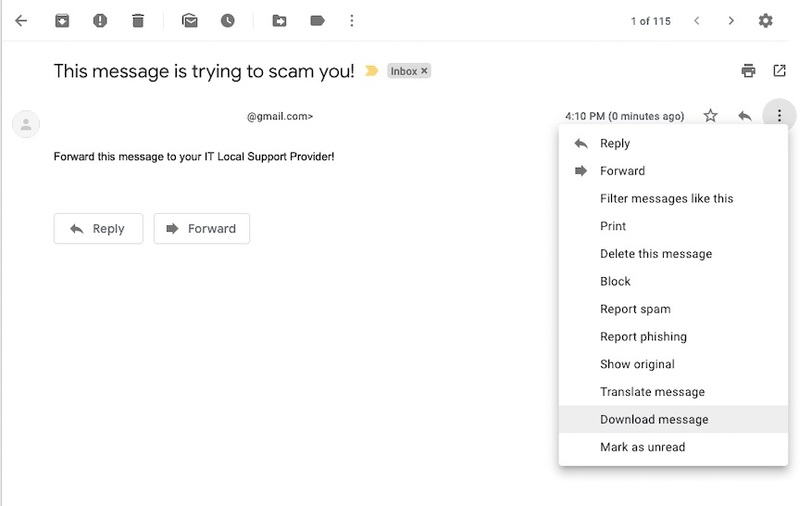 When reporting an email as a scam or phishing message to your IT Staff, please forward it as an attachment.